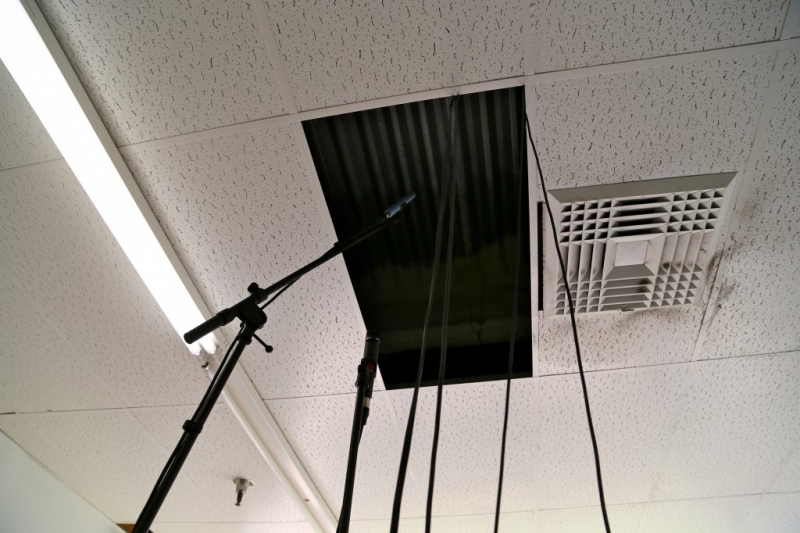 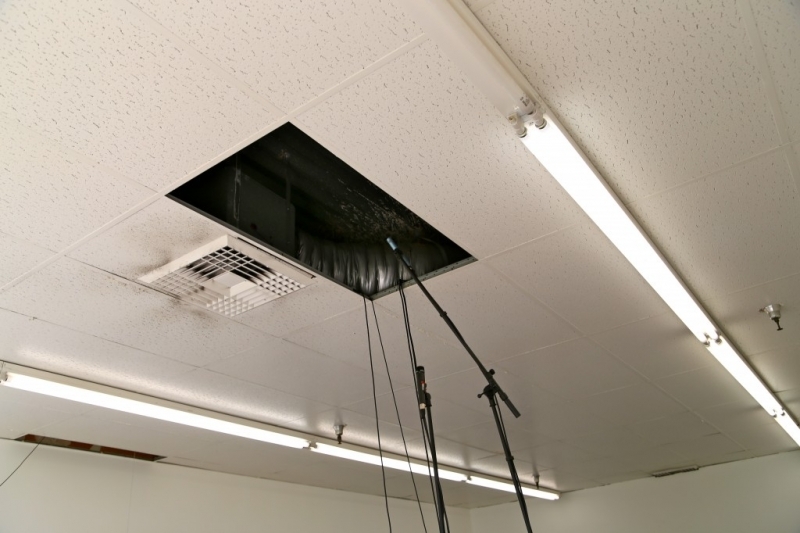 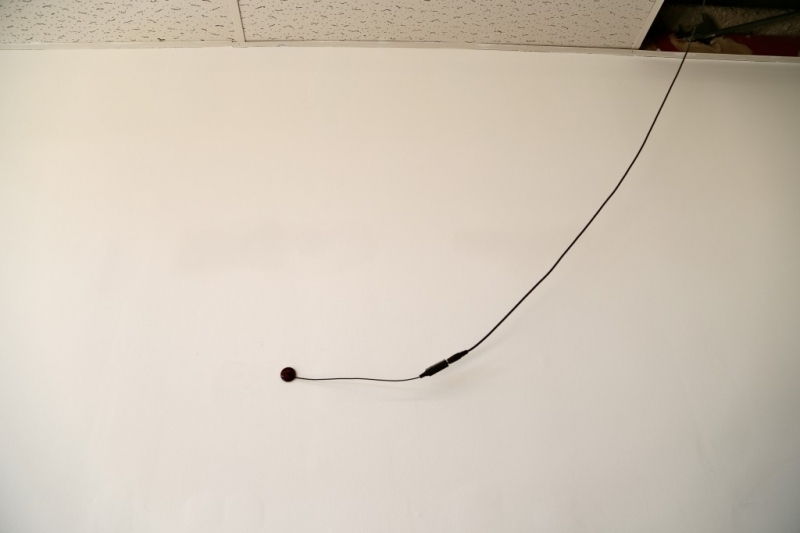 Using the FOCA office space as a sound source for this work, Gimbrone uses microphones a aural arrows, pointing to the subtle sounds of a work space; the hum of electricity running through wires in the wall, wind from central air, the activities of an office worker. 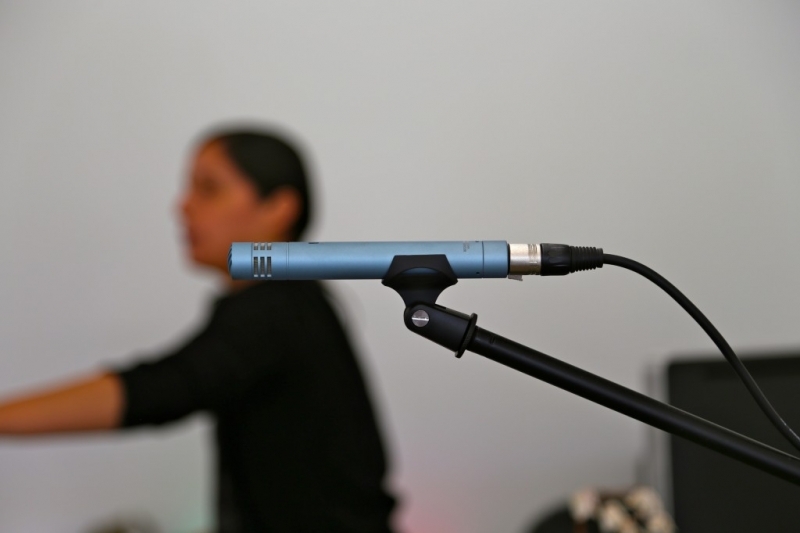 These sounds, so often relegated to the distant background of cognition as we navigate the world are brought forth in this work. 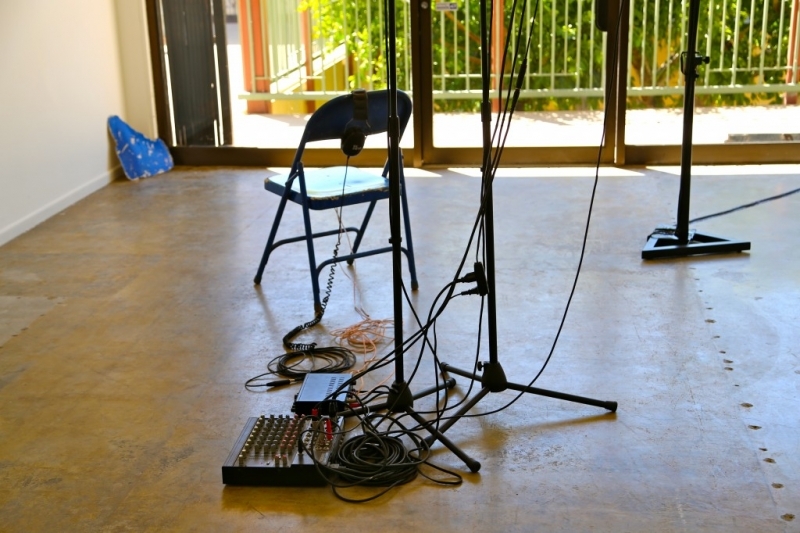 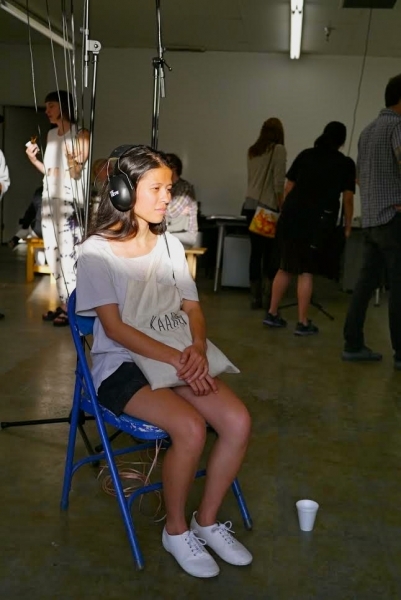 Live sound from the space resonates from a chair that visitors are invited to sit in, and is played back through the intimate medium of headphones. 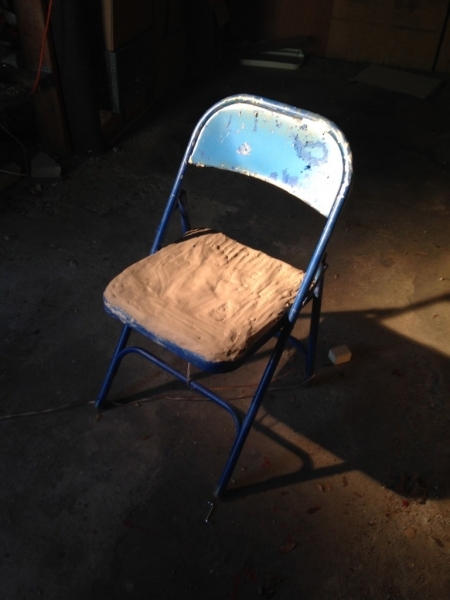 Gimbrone also points to the body in this piece, a clay impression of Gimbrone’s body is laid out on the floor before the chair. 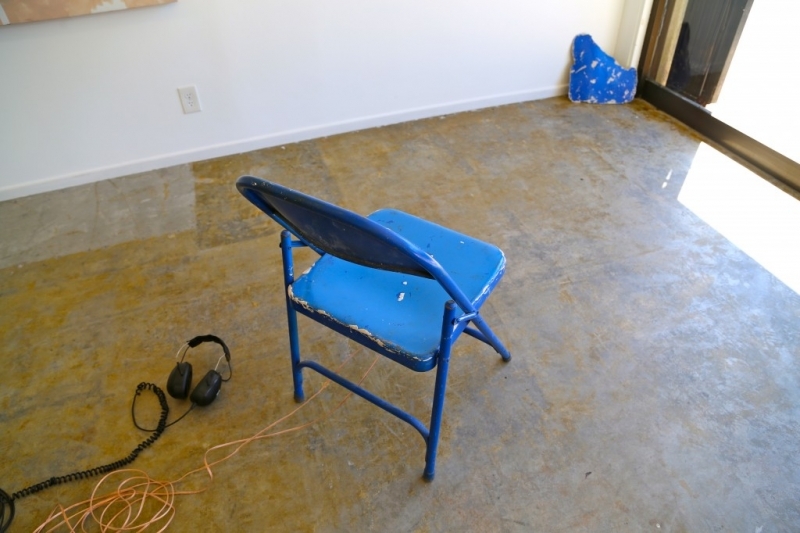 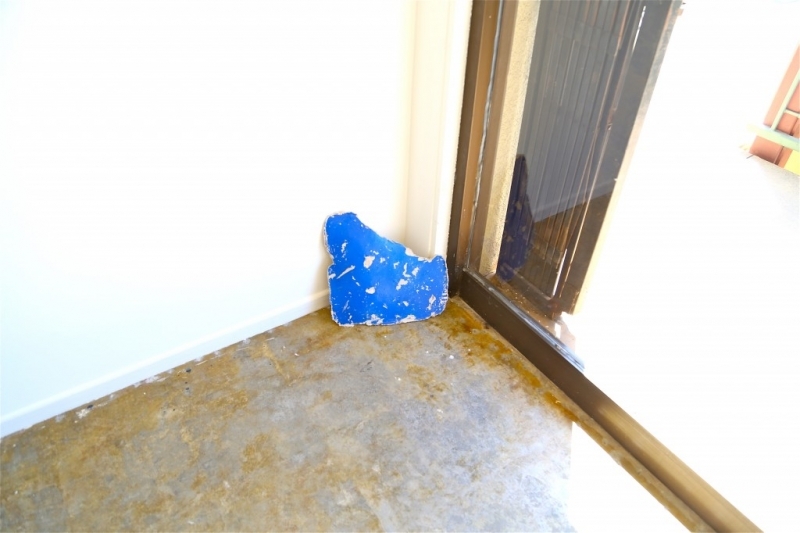 FOCA office space, condenser, dynamic, and contact microphones, mixer, amp, tactile transducer speakers, metal chair, blue paint, modeling clay, 2014.
located somewhere beyond what can be immediately verified. 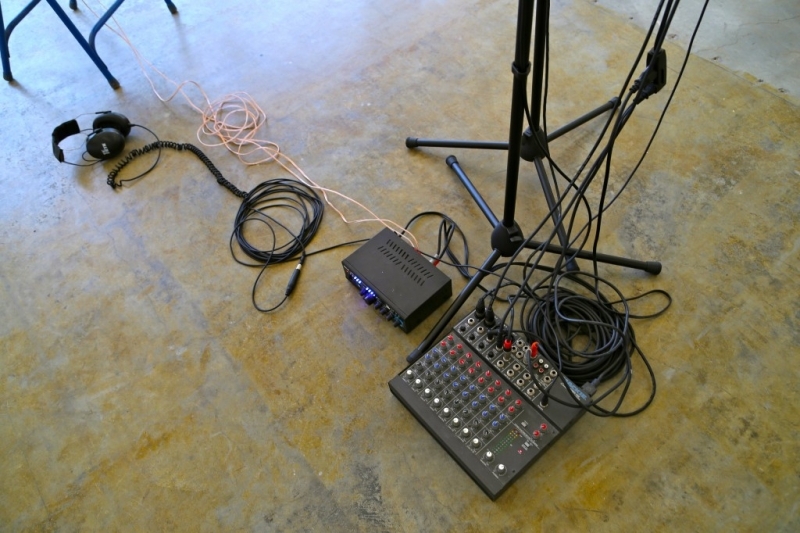 sound and light, between the audible and the visible. 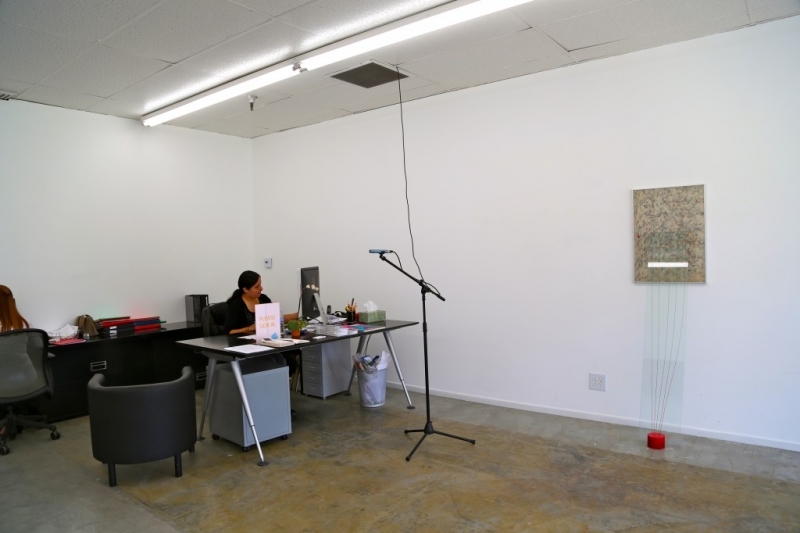 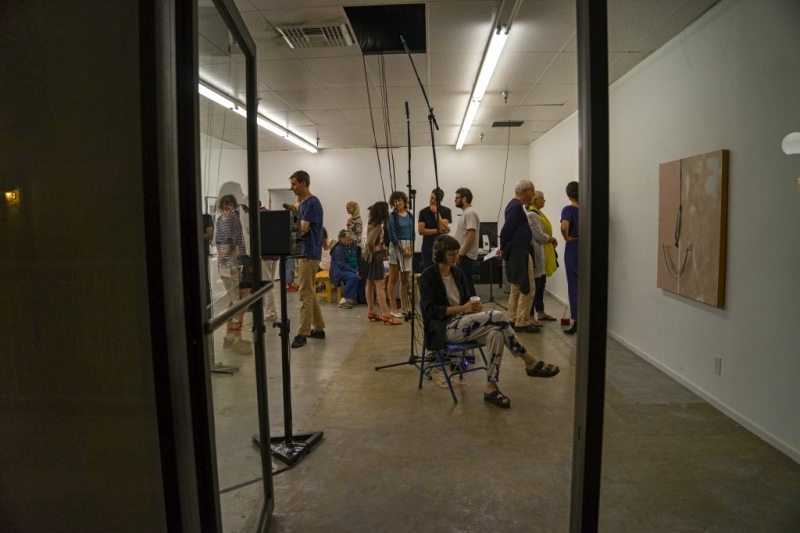 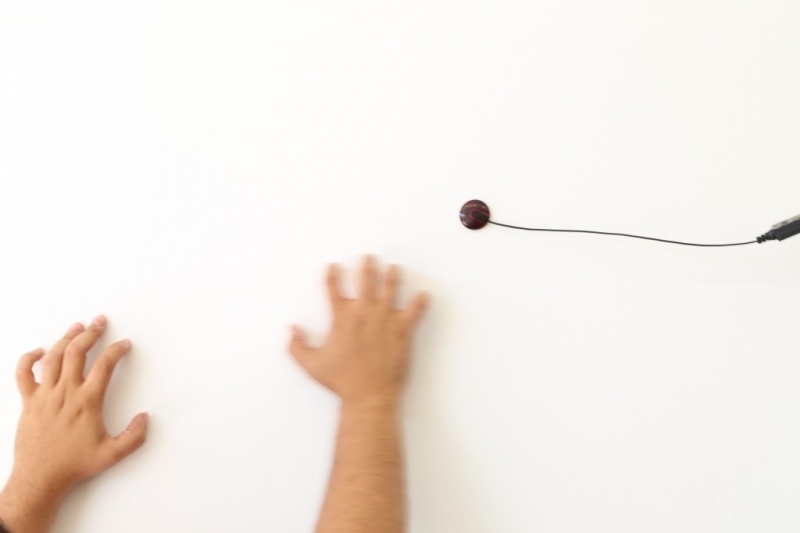 cognition through contemporary sound art practices in Los Angeles.